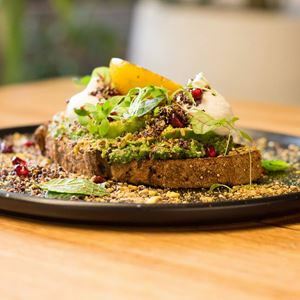 For those with a curious fascination for food, join in the frivolity and fun at The Hatter & The Hare on Scoresby Road in Bayswater. Peek down the rabbit hole to find a cavernous space coloured with mint green and blond wood, polished concrete and plant terrariums, while popping by the baker’s window to shout a hello to their pastry Chef, working hard to create morsels of imaginative genius. 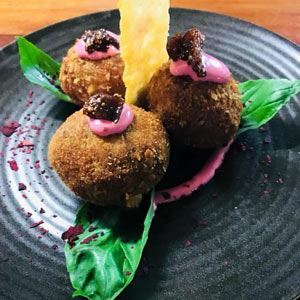 Indulge the palate with a Five Senses coffee, while deliberating over which delights to delve into like the Off with their Heads corn fritters with pumpkin puree and spicy tomato jam, as well as equally enchanting burgers such as the Tweedledum of Angus beef and the Tweedledee of fried chicken. Just be sure to save room for sweet treats like The Queen – white chocolate mousse and strawberry cream. Best Food and pastries EVER!!! I have been here many times, and each time my experience has earned them 12/10!! I have never before tasted so many different items on one plate! Each one just a mouthful of exquisite flavours! The cakes/desserts are equally memorable..each colour is a different flavour and texture! Incredible! Just don't tell anyone..it's Bayswater's secret! I stumbled across this cafe and it caught my eye! I went back with 2 girlfriends and loved every minute of my experience at "The Hatter & The Hare". 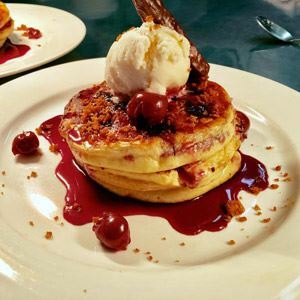 From the well written description on the menu to the bubbly fun owner George, gleefully creating his scrumptious cakes behind the window and opening the window to explain to his curious diners what he was creating! The food was awesome and coffee perfect! I returned with more friends a couple of days later and endeavor to make my way through the menu. Hats of to "The Hatter and The Hare" just what this area needed!